Immerse yourself in the countless secrets surrounding the mystical people of the Incas. Recreate an ancient Inca settlement, construct all the vital buildings and production facilities necessary to turn your village into a prosperous city! 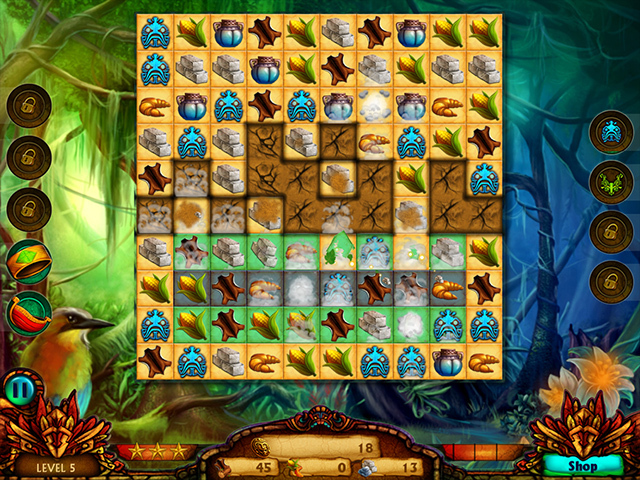 Enjoy a thrilling match 3 game with puzzles, hidden objects, Mahjongg, Solitaire and more as you get closer to your goal. 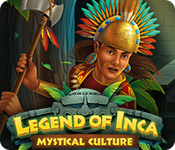 Legend of Inca: Mystical Culture is rated 3.4 out of 5 by 12. Rated 5 out of 5 by 9ellies from great game I love these match 3 games . Building the city gives you something to aim for . I couldn't stop playing , which is a sigh of a great game to me . Rated 5 out of 5 by margot01 from Endless playing fun I like this series very much. It is nice to build something with the gold you collect, but what I like most about this game is that you not only need gold, but also achievements to buy the next building or upgrade. I also like the length of this games. Keep 'em coming! Rated 4 out of 5 by deddu from Power-ups Looked Familiar At first I thought I had played this game, but then I recognized the power-ups from Legends of Egypt. It is a good game but I actually prefer their Legend of Rome. I also agree with Pennmon36 as I would love the see Cradle series return. Rated 3 out of 5 by karenmusik from Worth a free game coupon This wasn't a bad game. It's the usual match 3 with a few extras thrown in. You get 3 difficulty levels to choose from, so that's a plus. The bonus items for the match 3 were decent. I did play to the end. Not sure I'd play again. The extra games were few and far between in addition to being rather simplistic. The music was horrible - I felt like I was stuck in a 60's elevator. Some of the dialogue/quests didn't seem to follow the storyline, which was predictable. The game felt slow at the end, as you're just playing to upgrade buildings. It's difficult to figure out what needs upgrading unless you click each building. Seemed to be I always had plenty of everything except stone, which took forever to gather. Also, the control panel covered up some parts of the village, which was annoying. Lots of details which didn't seem to fit (why does the bread look like a croissant?) Overall, good for wasting time, but not terribly exciting. Rated 3 out of 5 by petergee from This is just like other Legends M3 games I bought Legends of Rome: the wrath of mars and then wished I hadn't. I won't make the same mistake with this one. It is exactly the same game with the same music and gameplay; the only change is the graphics.It has the same point and click problem on upgrades too; you have to click around to find the one spot on the screen that allows you to upgrade etc..Characters float forward and back in the intervals between gameplay but that's all the animation you get in these sections. The gameplay is exactly the same as the previous Legends game only the names are changed to spare the developers blushes. Surely, they could have enhanced the game somehow? Try it for yourself. I do not recommend it. Rated 3 out of 5 by Innovativemom from I Pay To Play Not Watch This game had a lot of potential. It would have been a definite buy for me if it had let me play the game. I had it in the 'Relaxed' mode. To me relax means no pressure of any kind. It had these wonderful little mini games that would pop up at random times. There was a hidden object where you had to find an exact amount of a particular item. There was also a type of solitaire card game. Another game was a mahjong game. It was a pretty good size mahjong game compared to other games that offer Mahjong as a bonus mini game. The problem lie in the amount of help provided. Relax usually means you have an endless amount of time to find the answer or solution you are seeking as your next game move or puzzle action. The people that made this game must have thought is was react instead of relax. It showed me every tile set to match. It did so in such a quick manner that never allowed me a chance to find the tiles myself. It did this though out the entire main match 3 game and all the mini games but none were as bad as when playing the mahjong mini game. For my taste any help is too much when it is on relax mode. Being that it is a fairly easy and straight forward game, there is no need for hand holding. I tried to ride it out thinking it will stop with the 'hints' but I became so frustrated that I uninstalled it 9 min. before the demo was over. It could easily have become one of my favorite games in the match 3 genre if only it had let me play the game without all the in game help. Give it a try. Maybe it won't bug you as bad as it did me. Rated 3 out of 5 by joybelle_1 from Same game again I will keep it short and sweet. 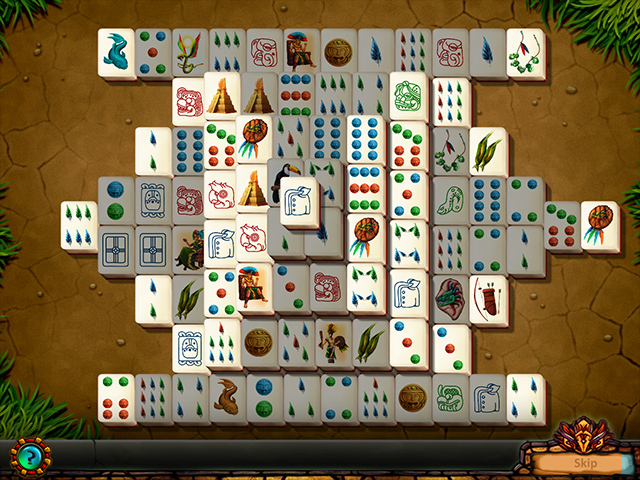 This is EXACTLY the same game play as the last many offerings of match3 from this developer. Whilst I did enjoy the Legend of Rome- the Wrath of Mars, that was the only one out of the last 3 games I bought that I finished due to the tedium of actually building and upgrading what is needed. So yes they are long games! I am quite upset that we are being offered the equivalent versions of 'cookie cutter' M3's one after the other. The only redeeming feature for me is the graphics in this one are quite lovely. Otherwise, you will get to choose blind your reward from this time, not cups or lotuses, but a statue with five arms if you complete the level perfectly. It really is just too much to expect people to buy the SAME game basically over and over just with different tiles! If you don't have all the other games, you may enjoy it. Its not a buy for me. Create an Inca settlement and construct all the vital buildings and facilities needed to turn your village into a prosperous city!